How has the word “queer” been reclaimed by the LGBTQ community? 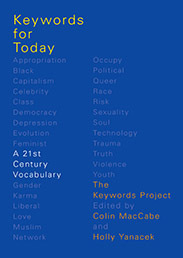 This adapted excerpt from Keywords for Today: A 21st Century Vocabulary explains its evolution. The adjective queer poses etymological problems. Its sense of “strange, odd, peculiar, eccentric” is given an initial Oxford English Dictionary (OED) date of 1513; thus John Bale in 1550 writes of chronicles that “contayne muche more truthe than their quere legendes.” There is then another sense, recorded as obsolete, with a date of 1567: that of queer as “bad; contemptible, worthless; untrustworthy, disreputable.” In this sense the word is used with reference especially to vagabonds and criminals, and eventually also applied to counterfeit coins and banknotes. This bad queer (in early use often occurring as quire) seems to have been a different word, of unknown origin, from the strange queer, itself of uncertain origin, with which it gradually became identified after the end of the seventeenth century. 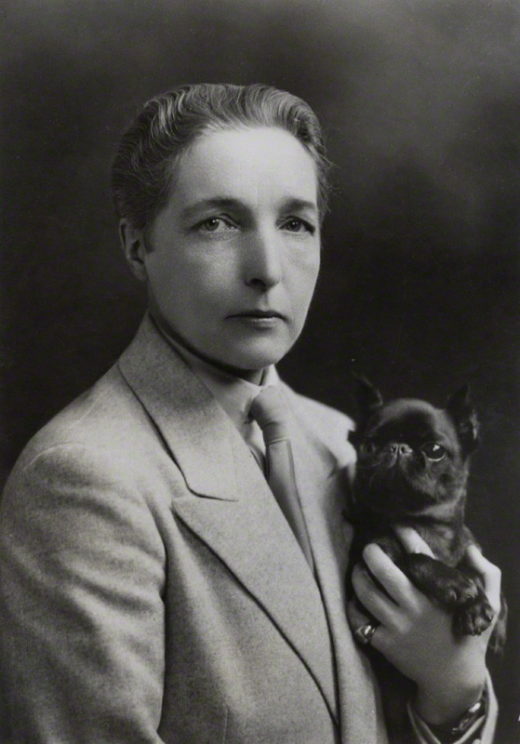 Image credit: Radclyffe Hall, c. 1930. Public Domain via Wikimedia Commons. If context points to the specific, homosexual sense, the sense of “strange, odd, peculiar” is still present, both inasmuch as the equation of homosexuality and peculiarity is at stake and inasmuch as the appearance of the word queer may be taken one way or the other. The word appears a number of times in Radclyffe Hall’s The Well of Loneliness (1928), for example, but its use in particular instances might be read one way or another, or, more significantly and importantly, both ways at once. Stephen, the central figure, is “a queer kid” who discovers in the course of the novel what her queerness involves: “the queer compositions” she shows her father are strange, as is “the queer vital strength” of the hand of a woman she holds, both uses proleptically indicative of the queerness being discovered. “He’s in Paris; it’s too queer” is merely strange, though the effect of the frequency of queer in the novel pulls it nevertheless towards queer queer. The LA Times fixes the homosexual reference by putting queer in inverted commas; Bennett leaves the one-way-or-the-other reading just possibly open to those of his readers who lack the familiarity of knowledge that would enable the particular homosexual sense. Today, of course, the general currency of homosexual queer makes the reception of that sense more or less inevitable and, indeed, can be at the expense of earlier ambiguities, overriding or insistently overlaying strange queer. In OED, the derogatory force is noted with which the adjective and noun queer could be used in respect of homosexuals. The merging of strange and bad queer senses made available a term of abuse and offensive judgment. Though the history of its use from the start by homosexual people and communities themselves is complex, making it more than simply abusive, only recent decades have seen the reclaiming of queer as a positive and empowering term of identification and identity. The OED cites a 1992 piece from The Nation referring to an advertisement as “thoroughly offensive to queer readers,” where what is offensive is not queer as an identification of a section of the readership but the advertisement itself. Contemporary development of queer becomes in these circumstances a site of contention, raising questions as to whether the word can be effectively separated from the history of derogatory and derisive usages, as well as questions regarding the effects of its general extension into an academic all-inclusiveness at the expense of specific cultural-political use in relation to particular identified groups. Queer as a verb is a late development, and carries a sense of “to make a fool of, ridicule; swindle, cheat” (1781) as well as “to put out of order; to spoil” (1818), hence to queer a pitch (1846), originally with reference to spoiling the business of a street vendor or performer. The OED gives no sense or quotation relating to queer to the homosexual senses of adjective and noun queer although there is a book of gay musicology entitled Queering the Pitch (1994). Featured image credit: WERK for Consent- A Queer and Trans Dance Protest 2819 by Ted Eytan. CC BY-SA 2.0 via Wikimedia Commons. The Keywords Project is an independent group of scholars who, with the support of the University of Pittsburgh, Jesus College, Cambridge, and the academic journal Critical Quarterly, have spent more than a decade preparing Keywords for Today. Colin MacCabe is Distinguished Professor of English and Film at the University of Pittsburgh. He taught the history of modern and Early Modern English at Cambridge and Strathclyde universities before becoming Head of Production at the British Film Institute in 1985. Since then he has combined literary criticism and film production. Holly Yanacek is Assistant Professor of German in the Department of Foreign Languages, Literatures, and Cultures at James Madison University. Her research focuses on 19th century and 20th century German literature, emotion studies, narrative theory, moral philosophy, and cultural studies.